Reliable General House cleaning near rris, Clio, Flushing. I have references ! 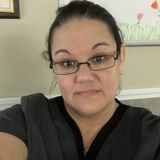 Want to connect with Tricia? Nice to meet you! My name is Tricia. I am searching for a house keeping job opportunity in The Flushing, Mt. Morris & Clio area. I I am Available now. I have been doing this type of work for 14 Years. I have several references. I am happy to help with light packing, kitchen cleaning, bed changing, vaccumming, dusting. I also own all necessay supplies. Student (Veterinary medicine) looking to earn money cleaning your home!